How I learned a 3rd way to link external GEOJSON files in mapbox.js and leaflet. How I learned a 3rd way to link to External GEOJSON files in mapbox.js and leaflet. Do you have a geojson file and want to load it up in leaflet? All it takes are two lines. 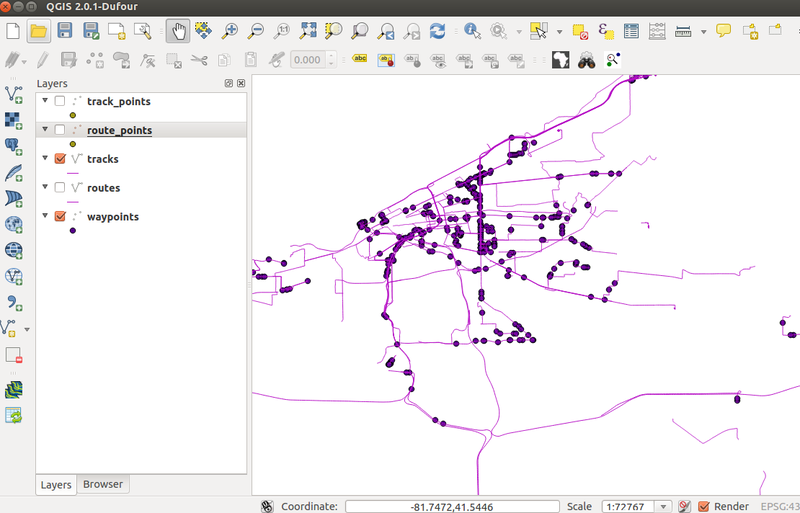 The first line initializes the feature layer to your map. The second line loads my geojson file which is in the same directory as my html file. I can now use it later on simply as ‘featLayer’. For context, here is the finished product as html . I loosely called it ‘the 3rd way’ as fellow Maptime organizer and all-around kickass person Lyzi Diamond described 2 other ways ( (1) and (2) ) ways to load Geojson files and I aspire that this post compliments her posts..
Why did I use this way to load my geojson (And you can too)? Now, how I learned to use this 3rd way was because I wanted to load and style polygons in leaflet or mapbox.js based on properties within the geojson file AND I didn’t want to include styling properties in the geojson file. They were loading GEOJSON within the browser itself and not to an external file. referring to a GEOJSON File (example) which isn’t a true geojson file, but has its variable in it, as mapbox did in this choropleth example. If you tried to show the file in GitHub, for example, the points would not be interpreted and a map would not be rendered. Additionally, you don’t always have direct control over the GeoJSON file itself, especially if it’s a shared dataset or if it’s being returned from some other process. Adding a variable definition could also potentially mess up the work of anyone else trying to use your dataset, if it is indeed a dataset you constructed. OR in some instances, the authors did a combination of these. I learn code by reading examples and modifying them. Below, I go through several commits where I learned to use loadURL(), load and style all polygons in a geojson file, and then point out my mistakes along the way where I used the wrong code. I tried to use the style option (from l.geojson) and a switch to customize the styling of the geojson file as on show on leaflet’s geojson example page . which has the follow example. Then, I was still confused and as I was continuing to find examples of what I was looking for and eventually asked Bill Morris, a longtime leaflet/mapbox.js/tilemill user. where he styled styled polygons in leaflet based on the properties of the geojson file but. I used 2 functions to style the polygons but no styling was happening. Still stumped. I wanted to make sure that my 2nd function (to determines which color is being used in the style based on the property of parking) was being called/run. so I first used the show method inside the getColor function. I couldn’t figure out why my getColor function wasn’t calling the property in my geojson file. (for reference, a feature is a geographic object that represents a point or a polygon) – but neither were for customizing polygons, but they offered a couple ideas of other things I tried, with no success..
Then <a href="http://twitter.com/geografa"Rafa Gutierrez from MapBox helped me out, and gave me an example of applying a style to all polygons in a geojson file (code). I was using ‘style’ as a method in my previous commits. Again, THIS IS WRONG! style is not a method, but an OPTION in leaflet. L.mapbox.featureLayer() is based upon and ‘extends’ the l.featureGroup. You can use a few more methods that are listed in L.mapbox.featureLayer() as well as all of the methods that are in l.featureGroup with l.mapbox.featureLayer. I didn’t immediately realize that I could use the setStyle method to style my polygon since my object (which I named ‘featLayer’ in all of my examples) was constructed from l.mapbox.featureLayer because all of the examples I had found online (at the time) had constructed their object using l.geojson and used the style option of l.geojson. 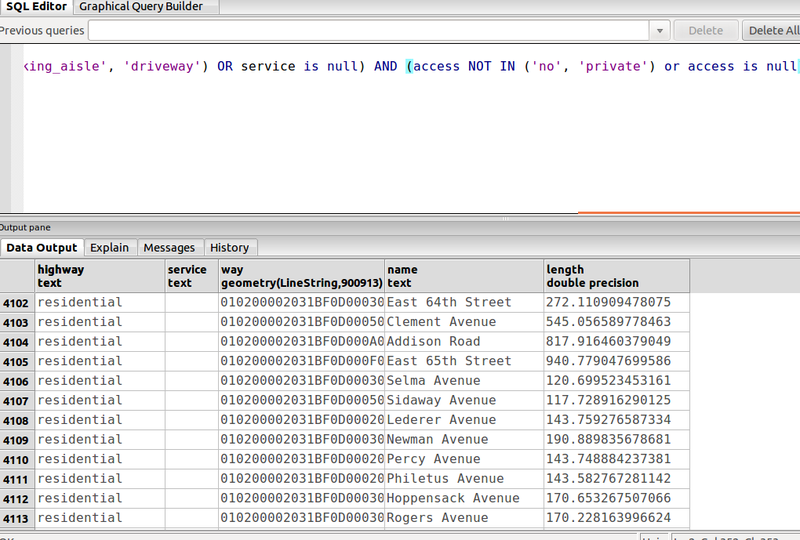 But, now how do I style based on the properties of the feature in the geojson file, I wondered! Part 2 of how I learned this, coming up.